If what's indoors just isn't enough to grab your child's attention, then you can always head outside for some quality crafting time. From fun painting projects to earthy garden crafts, these amazing activities will give kids an excuse to get up and go outside. Whether your kids are at home, summer camp, or even at their grandparents' house, these outdoor crafts for kids are sure to keep them up and out for hours. Celebrate spring, summer, and fall weather by using all of the wonderful things that these seasons have to offer. 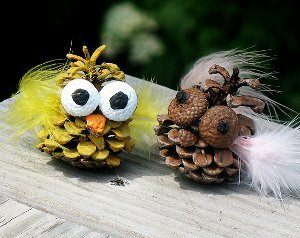 Spending time outside and in nature is a great way to entertain every kiddo and make neat nature crafts. You don't need a lot of materials with these outdoor crafts for kids because you already have them; just look around! 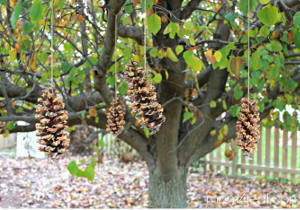 All of these 52 Outdoor Crafts for Kids use materials from nature, whether it is a pine cone, log, or flower petal. Sometimes painting can be messy, but when you make any of these painting projects outside, you don't have to worry about anything. Kids can splatter all they want while they turn an autumn leaf into a work of art, or they can create a vibrant wind chime from a frew well-chosen twigs. 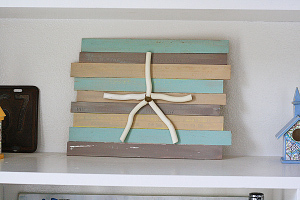 Painting projects allow kids to use their creativity in the best way possible, like turning sticks into a gorgeous piece of starfish art. With these outdoor crafts for kids, your little ones can push the boundaries of their creativity to transform nature into something that's simply stunning. Hungry for more crafts you can do during the summer? For quick and easy, mess free kids' crafts, check out 31 Free Printables for Kids: Summer Crafts for Kids. These wonderful art projects are designed for hassle-free fun and time-saving ideas you can do today. 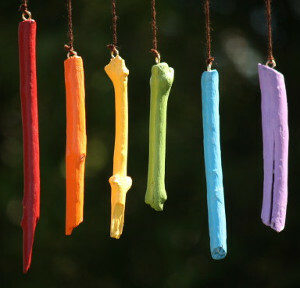 The garden is a place of beauty and growth, so it's only fair that these garden crafts for kids are just as bountiful. 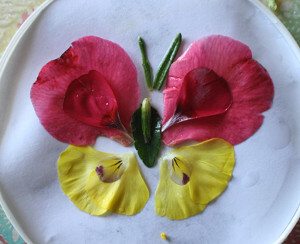 Gardens are a great way to teach kids all about plants, flowers, and vegetables, and they can give you plenty of creative craft ideas for kids as well. You can craft a home for a butterfly or if there are none to be found, kids can pluck a few petals and make a butterfly of their own. Take a walk through the garden and let it inspire you to make all kinds of outdoor crafts for kids. Can't get enough garden crafts? Find these and many more garden crafts, all in one place. 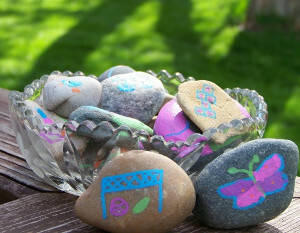 Outdoor crafts for kids don't have to be complicated. In fact, these nature crafts are perfect for your tiniest eco-enthusiasts. Take advantage of the seasons and everything that comes with them by making fun and easy crafts for kids. 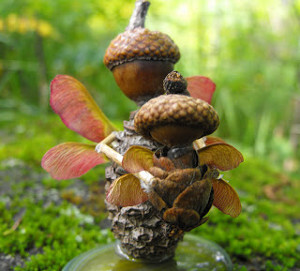 Use your creativity and materials like pinecones, acorns, and helicopter leaves to construct your own woodland fairy folk with these outdoor projects. Plus, kids can make these crafts in a flash, so they won't be wasting the day away sitting inside; they can make these quickie crafts and get right back to playtime. Looking for more crafts that represent the beautiful, warm season? Download this free ebook, Spring Crafts for Kids: 17 Flower Crafts, Butterfly Crafts, and More for fun and easy crafts for kids of all ages! A wonderful part of the great outdoors is that it can provide a lot of opportunity for kids to be active, while entertaining them with ourdoor activities. Staying healthy is an important part of life, and these great outdoor activities for kids will get your kiddos up and running around in no time. You can take advantage of the weather by making these nature crafts with your children and by enjoying the free printables for kids which give your little one fun thing to look for in a scavenger hunt. Want even more outdoor activities for kids? 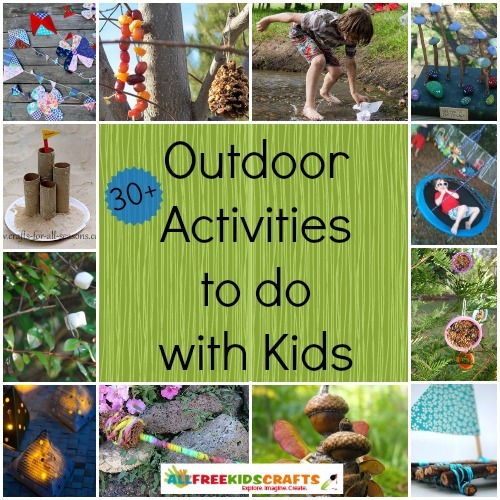 Find tons of outdoor games, outdoor crafts, and more with 32 Outdoor Activities to do with Kids! What is your favorite outdoor activity to do? Some of my favorite memories as a child are of craft time while camping. Using the things we found during scavenger hunts, or while hiking made the craft that much more special too. 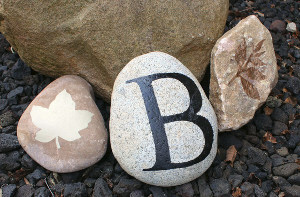 Leaf prints always made beautiful cards, and painted rocks were paper weights in everyones home at one time or another. Painted twigs went into large vases in the corner of the dining room, and pine cones were used for everything from decorations to bird feeders. Thank you for sharing all of these great ideas!